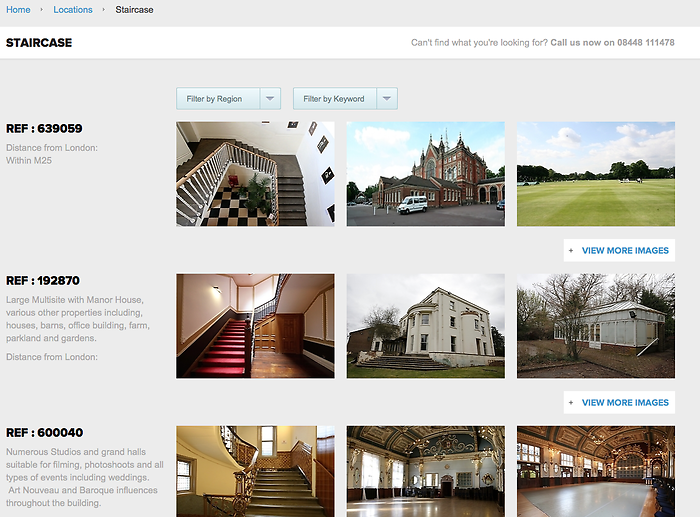 Location HQ has a extensive collection of locations, organised into categories and sub categories. You can simply search through the categories and peruse at your leisure. Search through the A-Z for keywords to help narrow your search. Finally, we have a search bar to help you search quickly and effectively for your location. Simply type the location you require into the search box. e.g type staircase in the search box and press go. A list of relevent locations will be listed. Never hesitate to call us if you cannot find what you are looking for as we are constantly photographing and loading new locations.